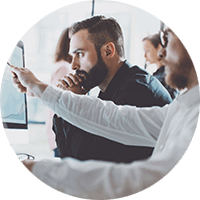 CLARIFIRE provides low-code business process automation that adds value and impact. Transform your fragmented processes into seamless, interactive workflows. Take a giant leap forward to challenge and reinvent your business processes in ways that will immediately increase visibility, create operational efficiencies, and empower you to reach your goals. Process automation for any industry or enterprise, Clarifire specializes in workflow automation for the Financial Services and Healthcare industry. 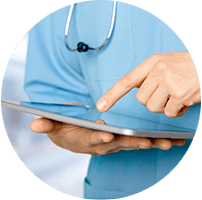 Standardize and personalize patient care through mobile rounding, auditing, and clinical workflows. 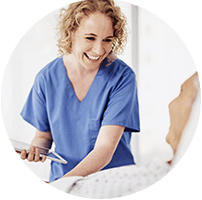 Transform your healthcare organization into an industry leader in patient experience and health outcomes. Take control of your system-wide auditing needs with an early auditing solution focused on prevention. Gain full visibility of all audit activity in one platform while proactively improving patient quality, safety, and patient experience. Implementing a new audit becomes as simple as create, assign, and go! 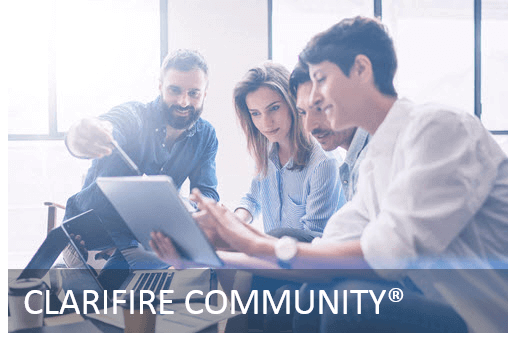 Collaboration on demand, CLARIFIRE COMMUNITY is the user-friendly gateway to the CLARIFIRE workflow automation platform. Customers, vendors, business partners and more, are all working together sharing documents and ordering products and services in real time. The personalized automated notifications and "guide me" approach to driving processes efficiently makes this easy to use, providing results on demand. 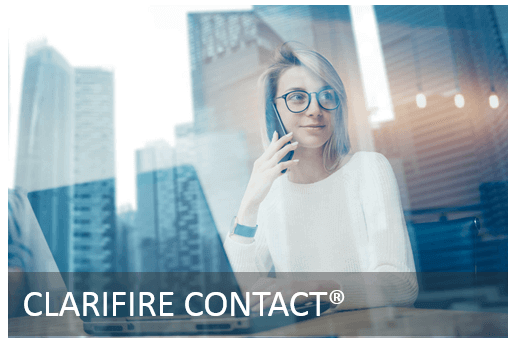 CLARIFIRE CONTACT transforms your dialer into an automated aggregation of critical loan and process information in one view. One customer says "CLARIFIRE turned complaints into compliments" because we were armed with all of the information we needed to be responsive to the customer. You can relax knowing your data is secure with our SOC 2 Type 2 Clarifire Private Cloud. A Process is a Process. Try some of our proven processes or design your own through an easy to use, intuitive interface. Flexible. Buy what you want to use now; add more later, eliminate when needed. No per-user fees. Easy to use. Easy to change by the business. Send us your workflow. We will quickly automate within CLARIFIRE and demonstrate the results. Allow us to show you what the future looks like.